The following goals of the Proud Lion program must be successfully attained by the Protege Lion under the guidance of the mentoring Lion (sponsor) and qualify for the Proud Lion award. • Participate in a club service or fund-raising activity. • Introduce a new prospective member to the club. • Make a visit to another club and secure a visitation slip. • Attend a zone, region, district or multiple district meeting and report back to the club. The goals listed above must be attained with the specified six (6) month’s period and that the sponsor accompanied the Protege Lion to each of the five activities. 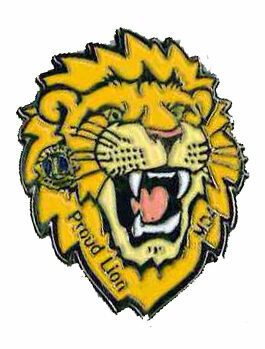 PINS: the D-GMT and Club Officer will determine the best time and place to award the protégé Lion. The pin will be sent to the club from the MD4 Office. Please do not stockpile pins in clubs. and you will be sent a pin.